She calls me "Mama Leisha": Bridget and Lambs and DI...OH MY! "I love it," my dear friend said. "It's so blond and so curly she reminds me of a sheep!" We laughed and laughed...and then it hit me: A lamb! 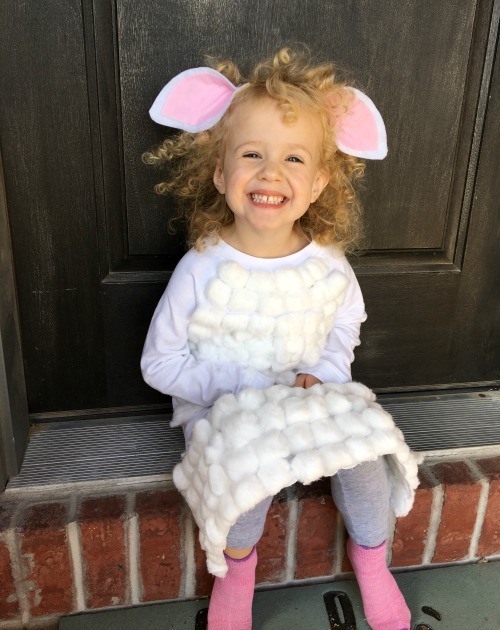 A lamb, a lamb, a lamb for Halloween! It was perfect. A few weeks later, I found myself at the DI. (Deseret Industries. An amazing thrift store!) You guys! I love the DI. 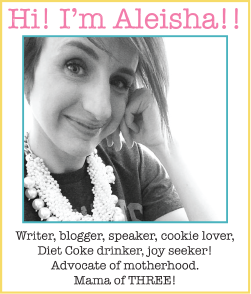 (Ever since I was in college...when I would shop there for vintage tees and bell bottoms!) 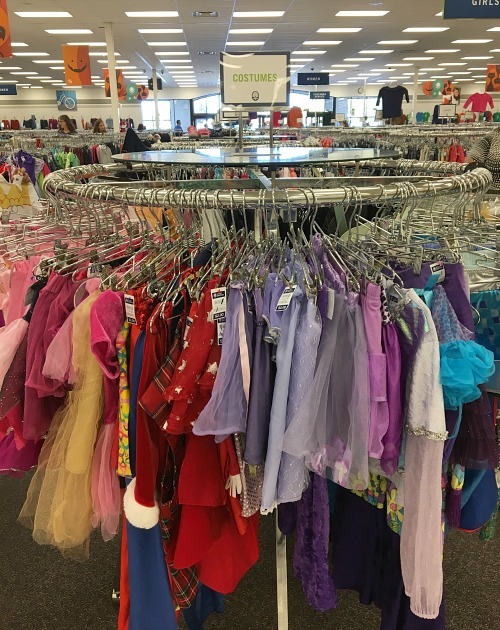 It's the best place to go for Halloween costumes. 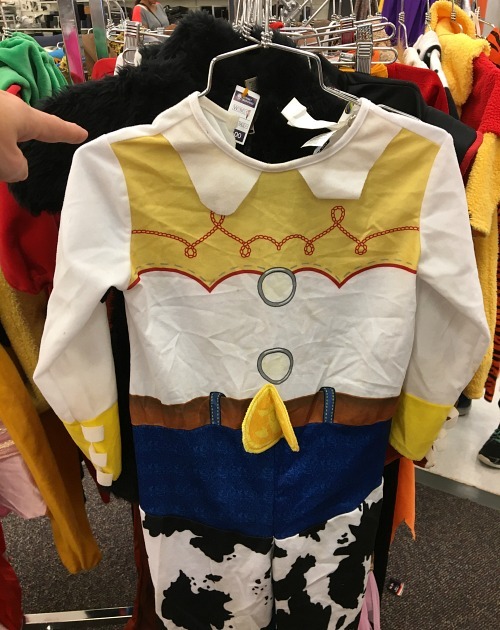 You can easily put together a costume for less than TEN BUCKS! Halloween doesn't have to be expensive, my friends. In years past I had purchased brand new costumes at retailer stores, but with three kids that starts to add up! This year we decided to do things a bit differently (and save some money!) by shopping at the DI. Side note: I was impressed with the vast selection of new and like-new costumes they had. I wasn't expecting that! I knew exactly what I was looking for with Bridget's costume. I needed white! I needed a white sweater or a white sleeper or a white jacket. I found a cute white apron in the Halloween racks and knew it had potential. 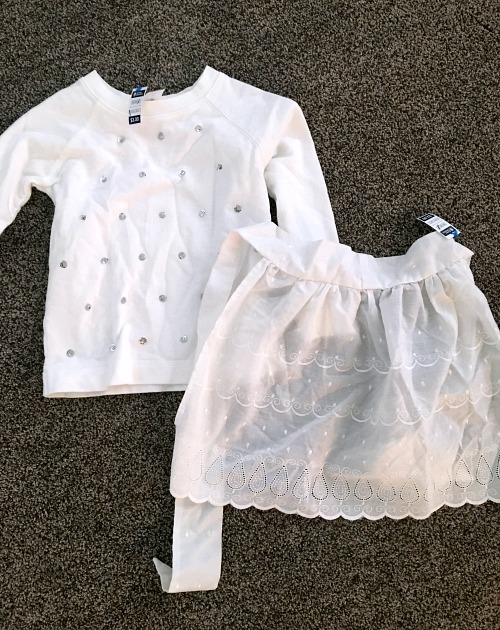 After perusing several racks of children's clothing I found a white sweatshirt. BINGO! I bought a couple of bags of cotton balls and went to work gluing them all over the sweatshirt and apron. 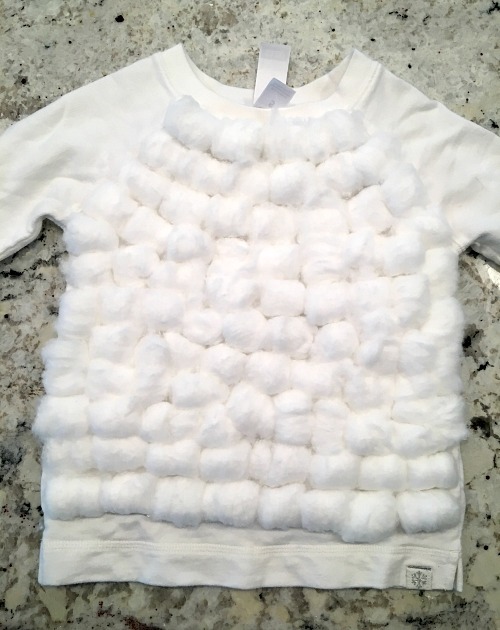 (Side note: Gluing cotton balls with a hot glue gun will result in sticky, fuzzy fingers!) It wasn't long before Bridget's costume began to take shape. The finishing touch was making lamb ears out of felt and gluing them to an old headband we had lying around the house. 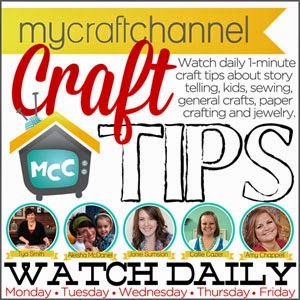 The lamb ears were easy to make and you can find lots of tutorials online for exactly how to do it! 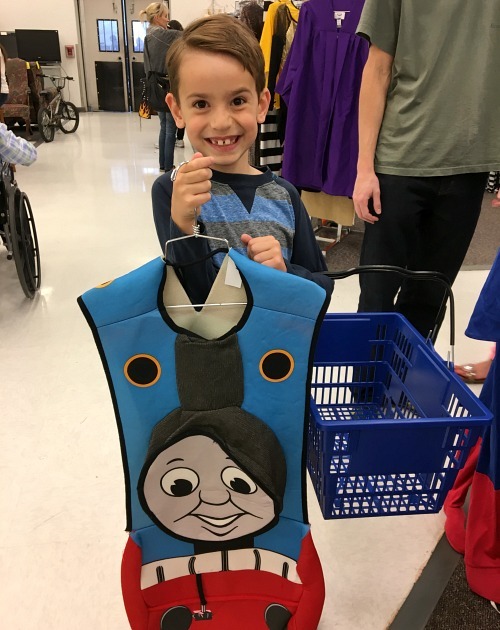 What are your children going to be for Halloween? Whatever they (or you!) decide, I hope the night is filled with FUN! --DI restocks the sales floor with thousands of new items every day. So the inventory is always changing, which is exciting! 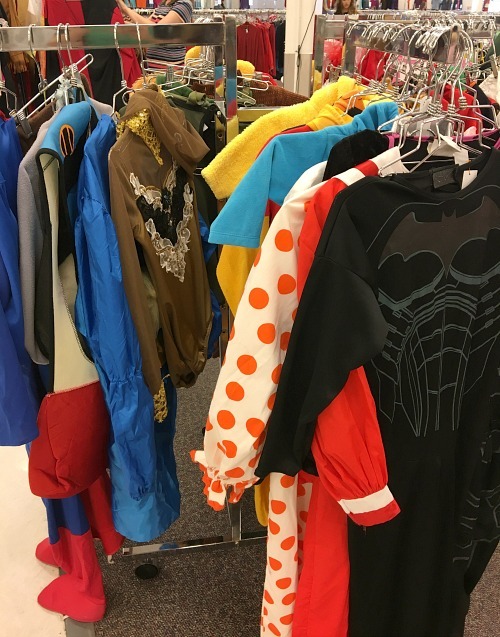 --You can donate your old Halloween costumes to the DI. Donations are tax deductible and help fund local training programs for employees in the community. That's beautiful!